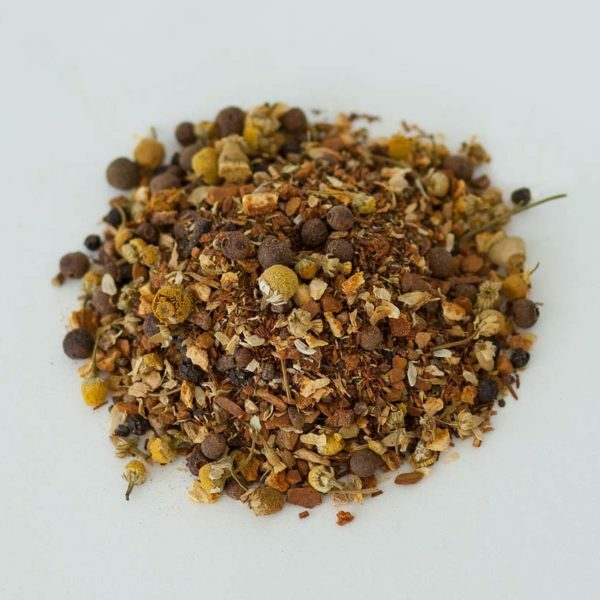 Dr. Rosemary's Harvest Chai Spice Tea is, of course, focused on helping you enjoy a great cup of delicious spice blends, but with the added bonus of relaxation as well! 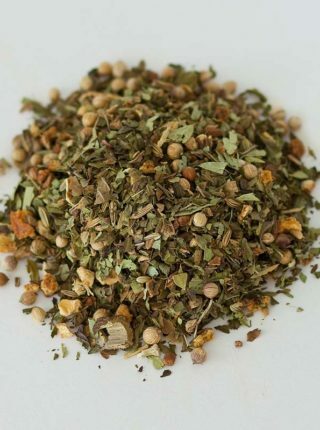 Our organic loose leaf herbal blend is flavored with 11 refreshing herbs blended for a delicious taste, and wonderful results! 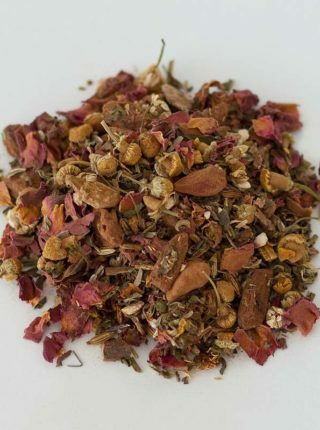 ★A COMPREHENSIVE BLEND -Dr. Rosemary’s Harvest Chai Spice Tea is, of course, focused on helping you enjoy a great cup of delicious spice blends, but with the added bonus of relaxation as well! 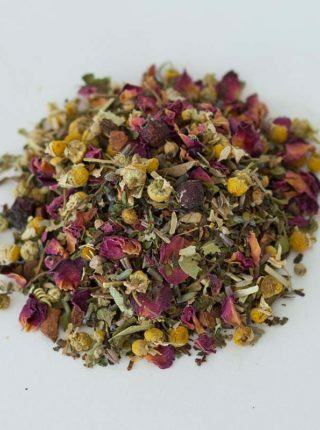 Our organic loose leaf herbal blend is flavored with 11 refreshing herbs blended for a delicious taste, and wonderful results! ★A BETTER HERBAL EXPERIENCE – All organic ingredients, vegan, caffeine and gluten free with NO PRESERVATIVES. ★TESTED AND TRUE -Our formulation is lab tested for quality, and offers true results. Backed by alchemic science and the expertise of Dr. Rosemary, who is an Acupuncture Physician trained in Herbal Therapy, we bring you a blend that is unmatched in taste & quality! ★STRESS FREE GUARANTEE -Our tea is painstakingly made for flavor and effectiveness, and we want you to buy stress free. That’s why we offer a 90 day full coverage guarantee! If you find our amazing tea lacking in any capacity, just send it back our way for a full no questions asked refund! It’s that simple. Buy today; you’ll be glad you did. ★FREE Bonus Tea accessory or Fill-able Tea Bags for you and included at no extra cost! 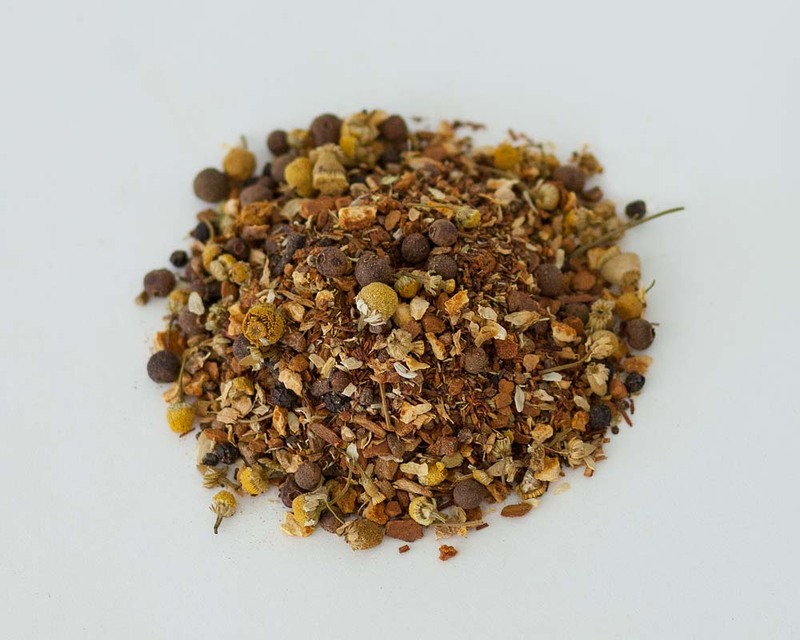 Organic Allspice, organic black pepper, organic cardamon, organic chamomile, organic cinnamon, organic cloves, organic ginger, organic orange peel, organic roasted chicory, organic nutmeg, organic roasted carob.